CHIAVARI, Italy - There are places in Italy where time stands still. 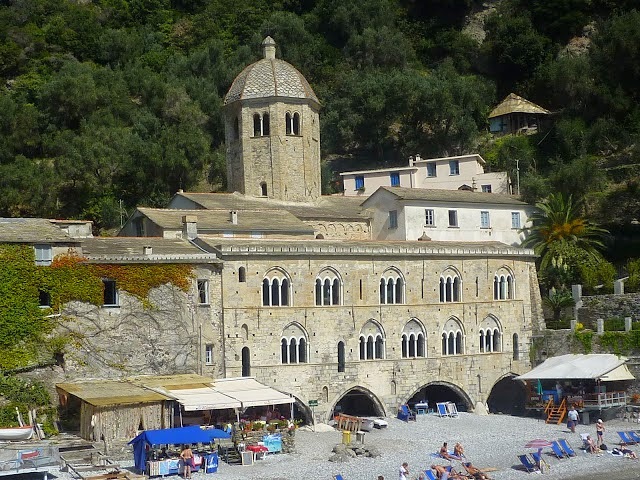 One of those places is the Abbey of San Fruttuoso di Camogli, on the coast of Liguria. 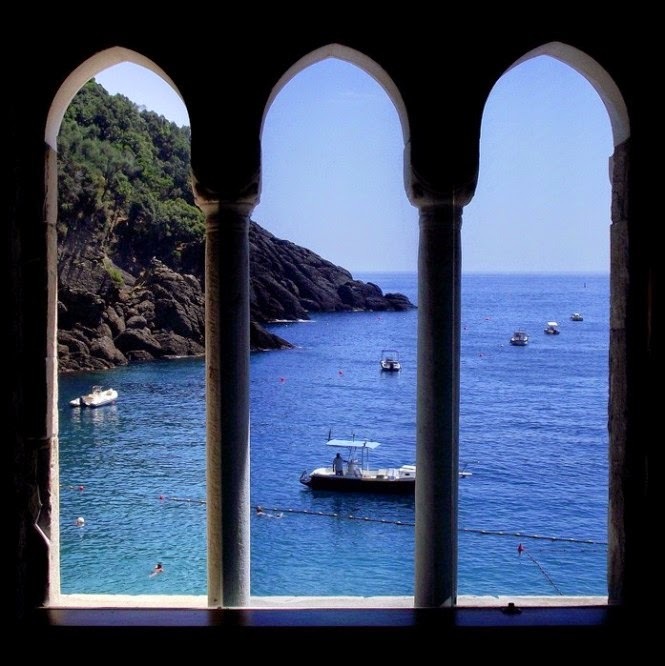 The Abbey sits on a breathtakingly beautiful bay between the towns of Camogli and Portofino. It has remained pristine for centuries, only accessible by boat or by a foot path through the mountains. In addition to the Abbey and the church, the only other buildings in San Fruttuoso are three slightly ramshackle houses, a restaurant with a few rooms to rent, and a 16th-century watchtower. While it may not look like much now, the truth is San Fruttuoso has had more lives than a cat. 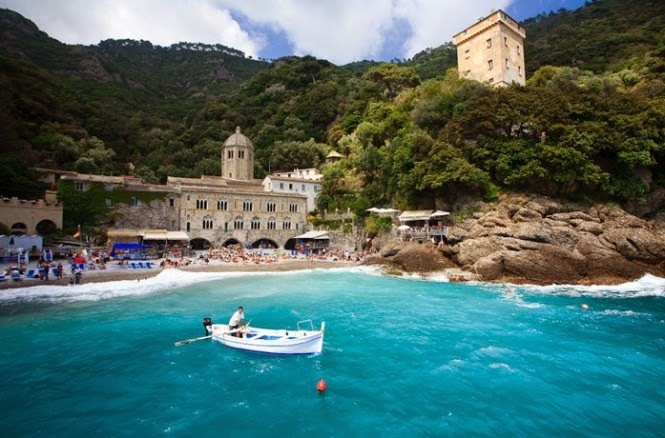 In different centuries it has been a Benedictine monastery, a pirates’ den, a humble fishing village and for a long time, the private property of the Doria princes, a very wealthy family from Genoa. The problem with going back to the beginning when you are dealing with properties that are this old, is the story tends to get a little muddled. This case is a good example. It seems the Abbey was built by Greek monks sometime in the year 900. It was named after Bishop Fruttuoso, a Spanish martyr who was burned alive in the year 259, during the eighth persecution of the Christians under the Roman Emperor Valerian. The ashes of the Bishop and two other martyrs who were burned to death at the same time, were transported to Liguria by another Spanish Bishop, San Prospero. Prospero had gotten on a boat and fled Spain in 711 after the invasion of Islamic forces from Morocco. Some stories claim an angel led him to San Fruttuoso, but however it happened, that’s where he ended up. One of the first things San Prospero did was build a church. If you go to San Fruttuoso and walk the hill behind the Abbey, you will reach an area known as “Old Church” where you will see the ruins of an ancient building. Are they the ruins of the church Prospero built a thousand years ago? No one really knows. What did become apparent during a recent restoration of the complex however, is that the part of the Abbey that dates from the 1200’s had been built on top of an older Romanesque structure. And given the practice of building and rebuilding on top of previous construction, it makes me wonder what they would have found if they had dug a little deeper. What was found however, were a number of important artifacts which document the history of the Abbey and the life of the monks who lived there. The artifacts are now on display in the small museum that was set up in the main body of the Abbey. 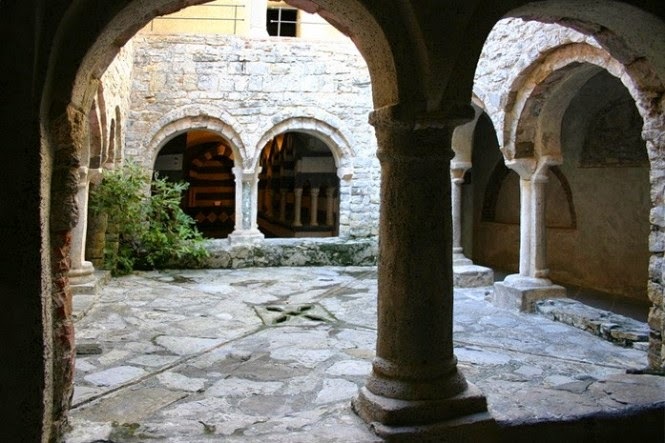 If you go through the lower level of the cloister you can access the deep, barrel-vaulted space that the monks used as a burial chamber. It’s not spooky like the Catacombs, it’s actually a lovely, open space. Members of the Doria family were also laid to rest there in tombs of alternating stripes of white marble from Carrara and black ardesia from Lavagna, a design combination reserved for the church and very rich Ligurians, and the Doria were the richest of the rich. During the 1500’s, the Genovese - in particular the Doria family - were heavy into shipping and trade. This meant there were large sailing ships with holds full of gold or spices and sometimes slaves docking daily at the port of Genova. For the Barbary pirates who cruised the Mediterranean looking for ships to attack, this floating parade of merchandise was like honey to a bear. But the one thing that was not on those gold laden ships but of intrinsic importance to the pirates was fresh water, and the easiest supply of fresh water they could get to was in San Fruttuoso. But that was not okay with the Doria family, so in 1562 they built a watchtower, decorated it with their family coat-of-arms, brought in a few guys from their private army in Genova and proceeded to defend the fresh water supply. Leaving the Doria and their problems behind and fast forwarding to today, you might be interested to know that the original statue of the Christ of the Abyss is in the waters just off the coast of San Fruttuoso. 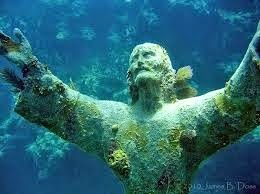 The bronze statue of Jesus with his arms raised upward is located about 50 feet (15 meters) under the sea and was placed there at the request of legendary Italian diver Duilio Marcante. He wanted it placed there in remembrance of his friend Dario Gonzatti, who died in that spot during a dive. The statue has been recently restored to preserve it from corrosion and to reattach the hand that had been knocked off by an anchor. The Christ of the Abyss has become a tourist destination for scuba divers around the world. 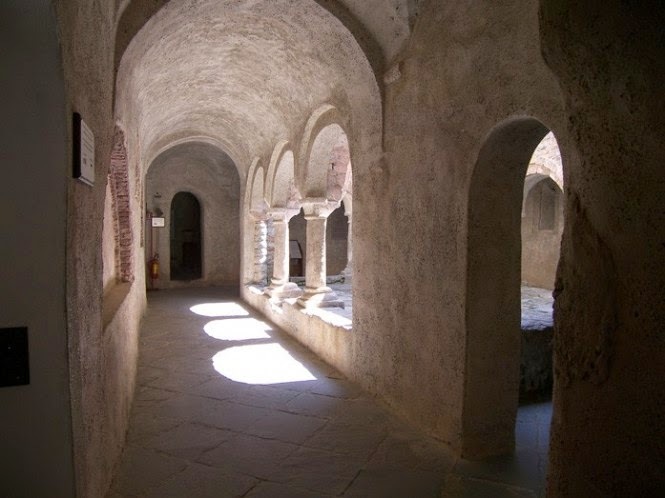 The Abbey of San Fruttuoso is one of the treasures of Liguria, it’s a spiritual place, and a lovely way to experience the peace and tranquility of a place where time stands still.